From Serra San Quirico station on the main Ancona-Rome line follow the signs for Serra San Quirico village. Turn right just after the local Health Centre and climb the country road until the T-junction at the end. At this point turn left (descending slightly), and we are the first drive on the left. On request we can supply transport from the station to the Country House. 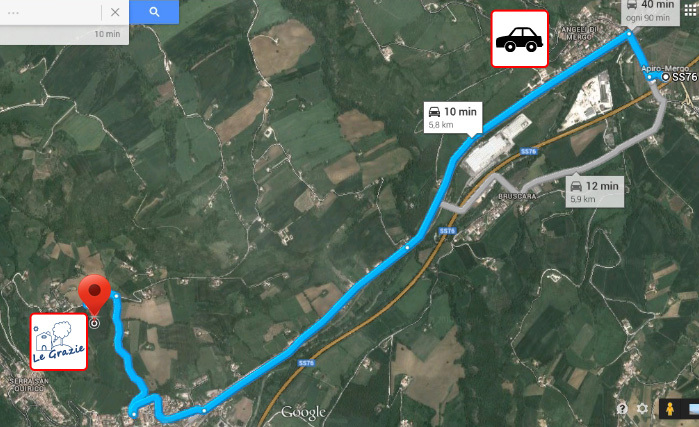 On the National Road SS76 from Ancona take the exit for Apiro/Mergo. Turn right and immediately after the level crossing turn left towards Serra San Quirico. Entering the station area, turn right for Serra San Quirico village just after the pharmacy. Coming from Rome take the first exit for Serra San Quirico immediately after the last tunnel. 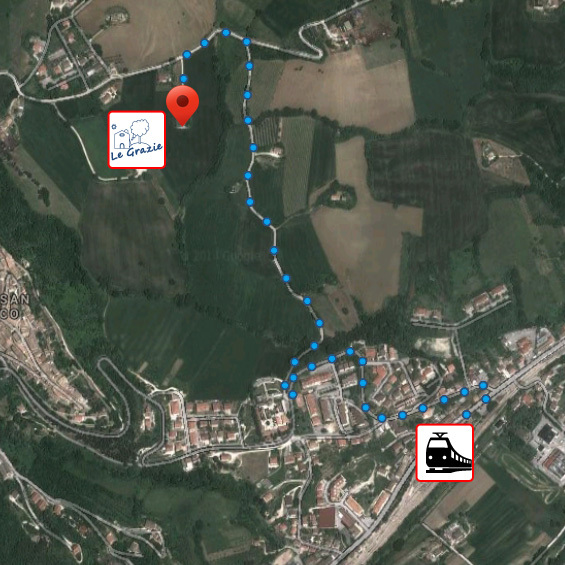 Entering the station area, turn left for Serra San Quirico village just before the pharmacy. In both cases then turn right just after the local Health Centre and climb the country road until the T-junction at the end. At this point turn left (descending slightly), and we are the first drive on the left. From the A14 Autostrada (exit Ancona North), Ancona/Falconara Airport or the Port of Ancona take the National Road SS76 towards Rome. Take the exit for Apiro/Mergo, turn right and then immediately after the level crossing turn left towards Serra San Quirico. Entering the station area, turn right for Serra San Quirico village just after the pharmacy. Turn right just after the local Health Centre and climb the country road until the T-junction at the end. At this point turn left (descending slightly), and we are the first drive on the left. 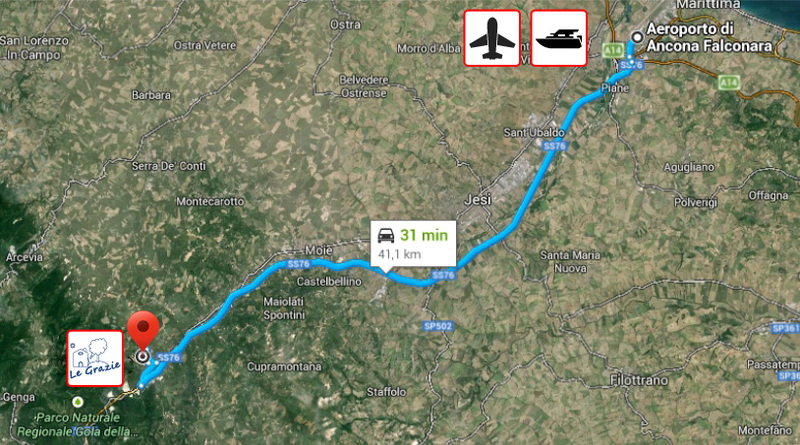 We can arrange transfer from Ancona/Falconara Airport or the Port of Ancona to the Country House, subject to booking.